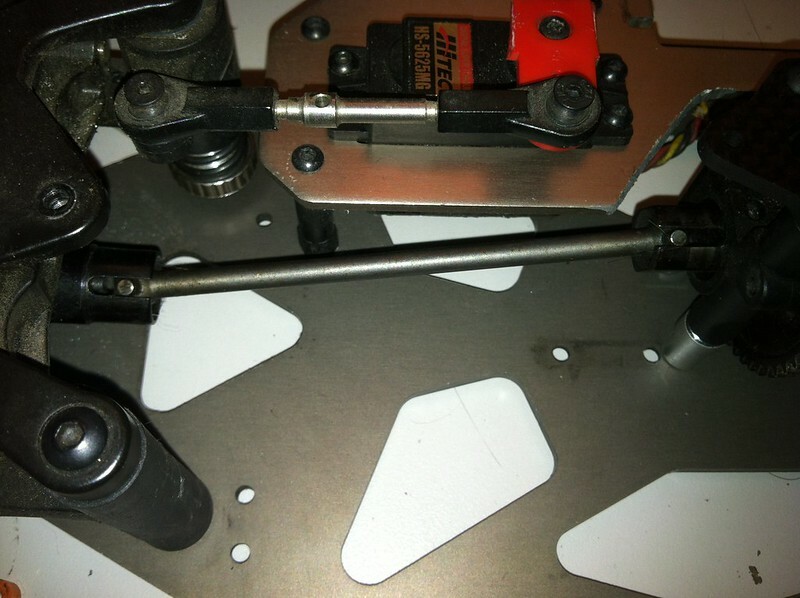 For my Hyper 1/7 conversion I'm reversing the center diff and would like to make sure there is enough room for a 85mm length motor (aka 1717). I could run the existing 92mm (total length is 99m) dog bone if I use fuel tubing to act as bushings to center the dog bone between the front diff cup and the center diff cup. Just trying to see if there's a better fit. The rear dogbone is already 160mm so its huge. I don't want to go much further back as the existing 92mm dogbone won't center properly and could cause issues. Pin to Pin its about 92mm buy my micrometer. I'm guessing a 95 or 96mm pin to pin length would give me what i need. 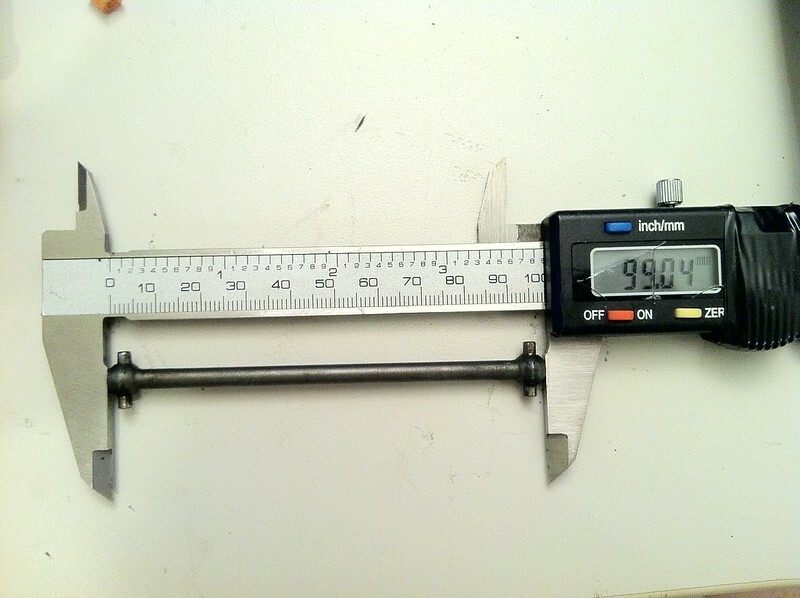 I found Kyosho PN# KYOIF143B, which is listed as a 95mm dogbone, but I don't know if thats total length or Pin to Pin. If total length it would be too short, as the Hyper 1/7's front dogbone is already 99mm total length. Looks kinda like it might not hold up to 1717 torque though with that weird step in the shaft. Last edited by Thirdgen89GTA; 01.26.2013 at 02:44 PM. NM. Score. Turns out an old X1 Buggy front Driveshaft works just fine! Its even a CVA to boot! This leaves me with 88mm from the front of the center diff bulkhead to the bellcrank. Plenty of room for a 1717!!! SCORE! Now i can drill/countersink the holes finish it up so its a complete electric conversion roller just ready for the electronics. Now the CVA I have is a little used, its got quite a bit of play so I'll need to order another one but that it fits is most excellent!